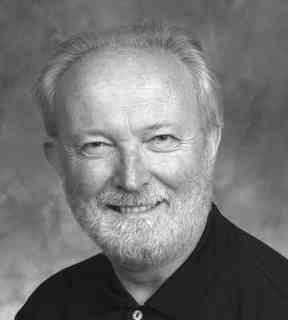 John O'Donnell - University Organist, Monash University - is an internationally renowned keyboard artist (organ, harpsichord, fortepiano, pianoforte), choral conductor and musicologist. Born in Sydney in 1948, he graduated ("Student of the Year") from the Sydney Conservatorium of Music in 1966 and became Durham University's youngest Bachelor of Music in 1968. During 1969 he gained the Associate, Choirmaster and Fellowship Diplomas and Limpus Prize of the Royal College of Organists and won first prize in England's first National Organ Playing Competition. In 1971 he completed the Archbishop of Canterbury's Diploma in Church Music.Since performing the complete organ works of Bach in Melbourne in 1974, he has enjoyed an international reputation as an organist, with ten North American recital tours and numerous European performances to his credit. With his 1985 performance of Bach's complete harpsichord music, followed by the first Australian performance of the newly discovered Neumeister collection of chorales, he became the first person ever to perform Bach's complete keyboard works in public. In the role of conductor he is musical director of the Tudor Choristers and the choir of the Canterbury Fellowship, and founder/director of the highly acclaimed Ensemble Gombert. As a scholar he is best known for his study of the French overture style and various papers on Bach performance published in English, Danish, Hungarian, American and Australian journals. His complete edition of the keyboard works of Johann Caspar Kerll, published by Doblinger in Vienna in 1994, has been hailed as "exemplary" and "an extraordinary achievement". He is now editing the complete keyboard works of Pachelbel. Other current areas of research are musica ficta in High Renaissance vocal polyphony and German organ registration. He has served on the juries of national competitions in Australia and New Zealand, and international competitions in Canada and Germany.